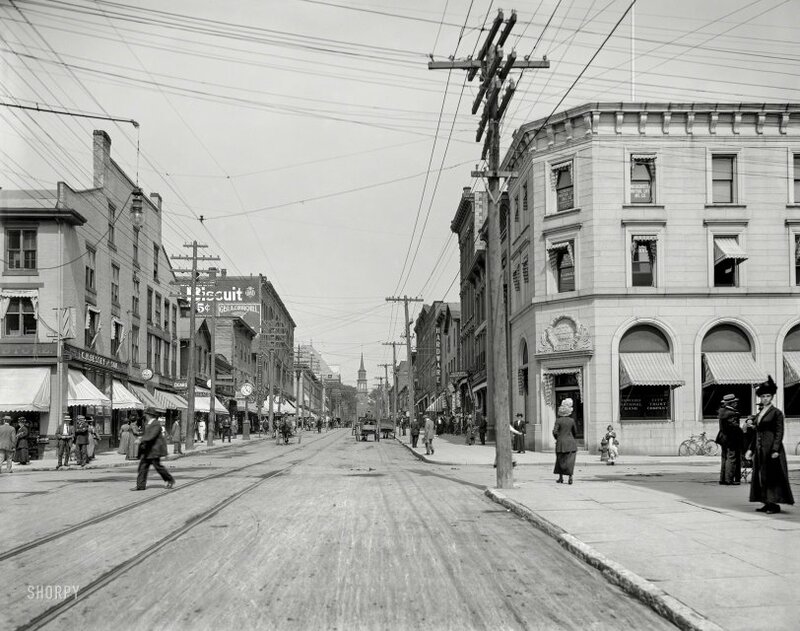 Burlington, Vermont, circa 1911. 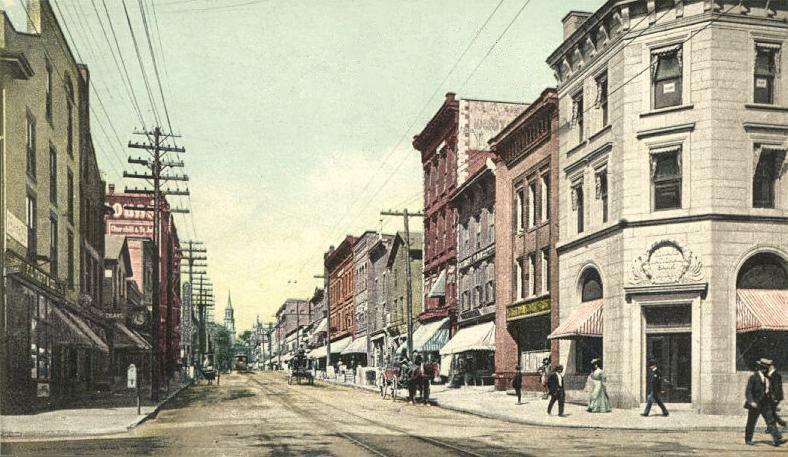 "Church street north from College Street." 8x10 inch dry plate glass negative, Detroit Publishing Company. View full size. Submitted by Tim S on Wed, 09/19/2018 - 7:30am. If you stood in place and turned right, looking up College Street, you'd see the offices of the Burlington Free Press, where Dad worked all those years. From where the picture is taken, that imposing edifice with the arched windows has been various businesses over the years -- drug store, jewelry store, insurance office, etc. Church Street is now a brick-paved pedestrian mall lined with trendy cafes and shops. Submitted by FlyTexas on Wed, 08/15/2018 - 9:25am. Customer: I'd like to make a deposit. Submitted by Alex on Wed, 08/15/2018 - 6:53am. Submitted by davidk on Tue, 08/14/2018 - 6:38pm.